Happy Thursday! 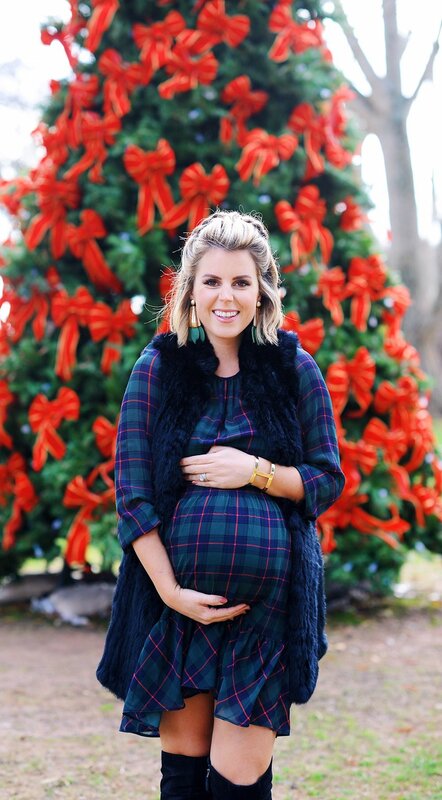 This is my absolute favorite time of year, and this year is even more special with us awaiting the arrival of baby girl! I had my 36 week appointment and things are completely closed for now, but Harrison and I are both hoping she might surprise us with a pre-Christmas arrival. That would be the best gift ever! We are so ready for her, but we’ll see when she decides to make her debut. Today I’m sharing this dress that’s perfect for holiday parties, Christmas day, and just fall/winter in general. 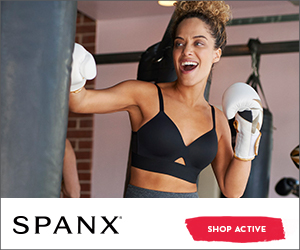 It’s non-maternity and you can get your regular size if you are pregnant (plus the fit is forgiving which is perfect for post-baby!) Plus, it’s 40% OFF! I’m wearing a size small and it’s perfect for pairing under a vest like this faux fur one, with tights & boots or heels. 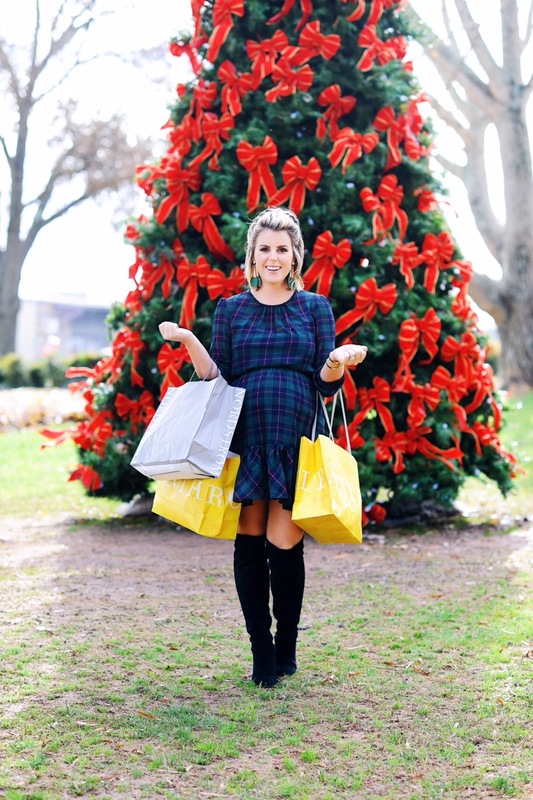 I also love plaid because it will never go out of style; you can wear this holiday season after holiday season. Now for the start of my Gift Guides! Today I’m sharing gifts for her, all under $50; these are perfect for stocking stuffers, or smaller gifts for mom, sister, friend, wife, etc. etc. and all things that I either have, or would love to get in my stocking. Tomorrow, we’ll address the men. Happy shopping! And don’t forget! 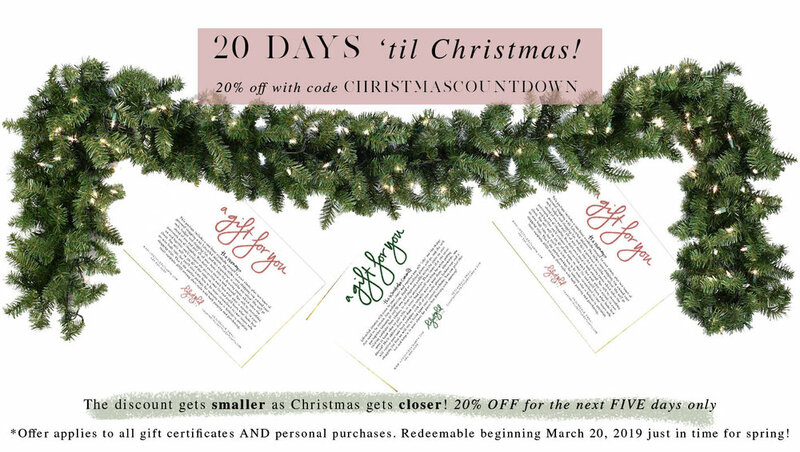 My Christmas Countdown SALE is in full swing; now through December 10th, get 20% off with code CHRISTMASCOUNTDOWN. Click below for all the details.